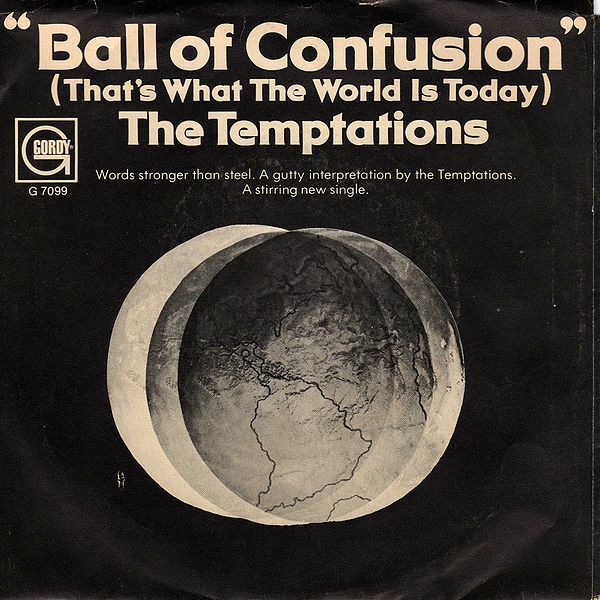 The Temptations had cut other political songs, such as “Message for a Black Man,” before they recorded the original version of “War” in 1969. 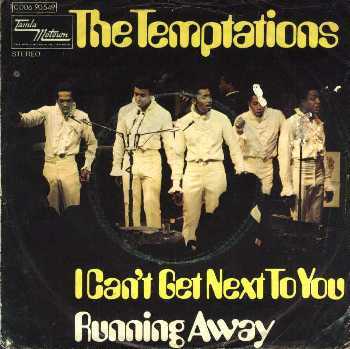 Although the songs were generally well-received, they were closer to Norman Whitfield songs featuring the Temptations’ vocals than true Tempts cuts and rarely performed them in concert. 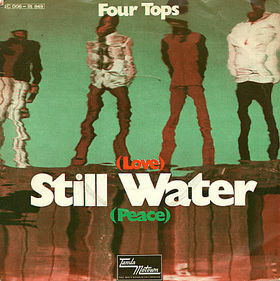 Although Motown received several requests to release “War” as a single after it appeared on “Psychedelic Shack,” Berry Gordy feared ruining his group’s image with such a political number and resisted. 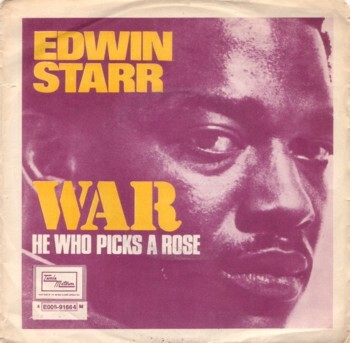 Instead, he handed the number to another artist in Whitfield’s stable: Edwin Starr. Prior to cutting “War,” Starr had been kept out of the studio for six months. His last big hit “25 Miles,” which reached No. 6, was 18 months old and long forgotten. Consequently, Starr was hungry when he was finally able to reach the mic. His pent-up energy added more charge to Whitfield’s already incendiary lyrics. Starr’s impassioned singing put Dennis Edwards and Paul Williams to shame on the now-placid Temptations reading. Bolstering Starr’s vocals was a powerful horn riff, funky organ line and a smorgasboard of wah-wah guitars, fuzz bass, tambourines and nearly every other trick in Whitfield’s psychedelic bag of tricks. The production was Phil Spector’s Wall of Sound reimagined for the trippy, proto-metal flower child age. Just over 15 years after its initial release, Bruce Springsteen took the song back into the Top 10 with his cover. Although no major U.S. conflict was brewing at the time, the song still packed a powerful punch. A little more than 15 year’s after the Boss’s version, “War” illustrated how far society had regressed when the song was placed on a list of “lyrically questionable songs” banned by the Clear Channel Communications corporation in the wake of the Sept. 11 attacks. The list also included “Imagine” by John Lennon and Louis Armstrong’s “What A Wonderful World.” Sadly, it is hard to picture as political statement as powerful as “War” penetrating the airwaves again.